TAIPEI, Taiwan – Taiwan bike makers recorded a double-digit growth of their export to Europe in 2007. Revenues were up more than 22% and totalled even more than during Taiwan’s boom years of the late 90s. As a flood of orders last fall overbooked assembly lines, the question is what 2008 will bring as Taiwan’s largest bicycle makers are also focusing on China like never before. Europe is currently far and away the strongest market for Taiwan-made bicycles. 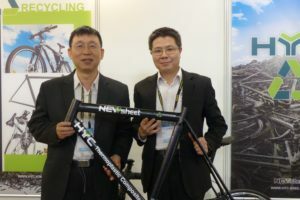 2007 statistics from the Taiwan Bureau of Foreign Trade and the Taiwan Bicycle Exporters’ Association show a double-digit growth and for 2008 even more is expected. After a slack year in 2006, and inventories that were overstocked a year ago now need refilling. 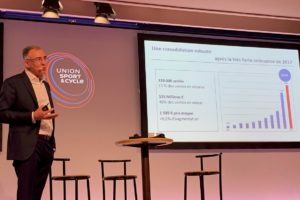 From January to September last year, the EU received 2.47 million bicycles from Taiwan, over 71% of the country’s total output. Sales for the period to EU buyers were US$ 392 million (€ 224mn). Both figures represented double-digit improvements over 2006. The top EU buyers of Taiwanese bikes were the UK (714,000 units), Germany (340,000), Holland (325,000), Sweden (235,000) and Belgium (220,000). Across the board, 2007 was strong for Taiwan. In the first nine months, Taiwan’s bicycle exports were up almost 12% to 3.45 million units, the highest total for the period since 2001, when migration to China was hitting hardest. Revenues were meanwhile up more than 22% to over US$ 727 million (€ 495mn). The average export price meanwhile is at US$ 210 (€ 143), the highest ever. 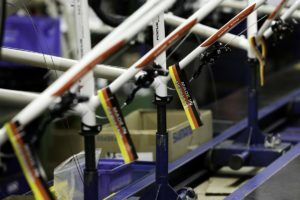 Giant and Merida are investing heavily in new factories in north China. 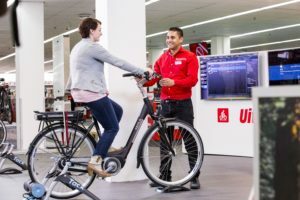 Giant invested US$ 12 million (€ 8.2mn) on its fourth China factory, in Tianjin, that will go online this spring, with an initial capacity approaching 1 million bicycles, and scaling up to around 3 million bicycles in the next three years. The Tianjin plant will become a major center for production of electric bicycles. 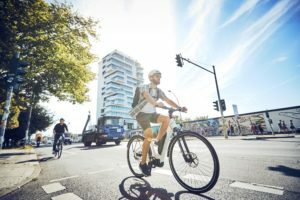 Giant sold more than 350,000 e-Bikes last year, most in China. Merida also built a new China plant last year, its second. This one is in Dezhou in Shandong Province, another area in north China and with coastal access. The facility is scheduled to go online by summer, with capacity of 500,000 and eventually increasing to 1 million bicycles per year.